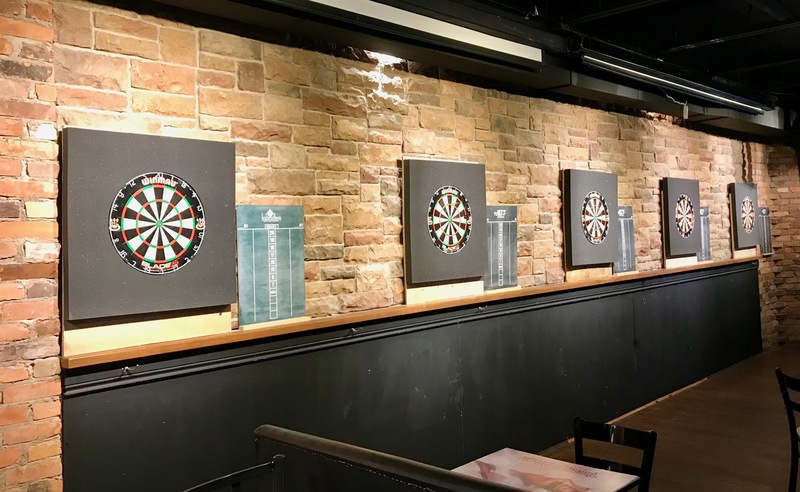 Drums N Flats is one of the Premier Venues in Canada to play darts. 8 perfectly mounted Winmau Blade 5 dual core professional dart boards with bright lights casting no shadows. Bring your team to DNF, we host dart night and tournaments. Delicious food, cold beer, freindly staff and a ton of room to play without stepping all over one another, DNF is dart heaven!